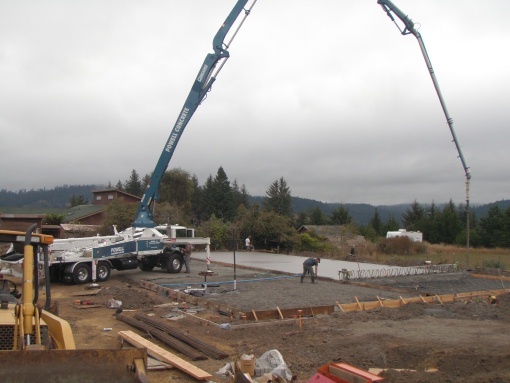 DCI Builders is a pioneer in the decorative concrete business in Humboldt County. With over ten years of experience, our creative ingenuity can be seen throughout the county. 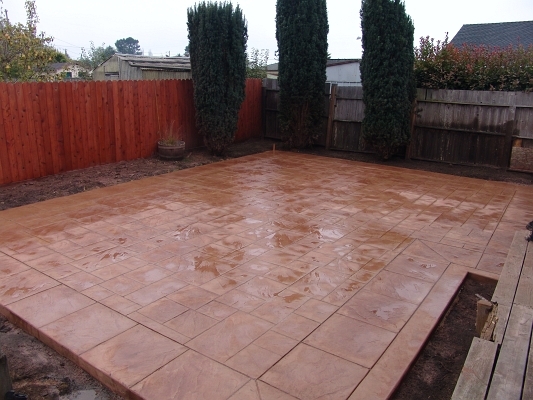 Stamped concrete is concrete that is pressed with a pattern to give it dimension. Stamp patterns are made to resemble materials such as brick, slate, flagstone, wood, etc. Stamped concrete can be used to beautify driveways, pool decks, entries and courtyards and comes in a variety of colors. Stenciled concrete is concrete that has a pattern laid out onto the concrete with various colors. Brick is a good example of a stenciled pattern. The bricks are stained one color and the grout another. Concrete sealers provide the concrete with shine and improved resistance to weather, water and abrasives. They can be used on both interior and exterior stamped and stenciled concrete. DCI Builders is very experienced all types of concrete work including, but not limited to, structural concrete construction, bridge work, retaining walls, foundation retrofits, new foundations, sidewalks, and large concrete slabs. We can do agricultural, commercial, or residential jobs. Please check out our slideshow, and our Site Development section for more information.